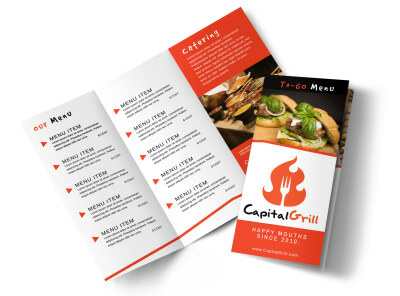 Customize our Beautiful Restaurant Tri-Fold Brochure Template and more! 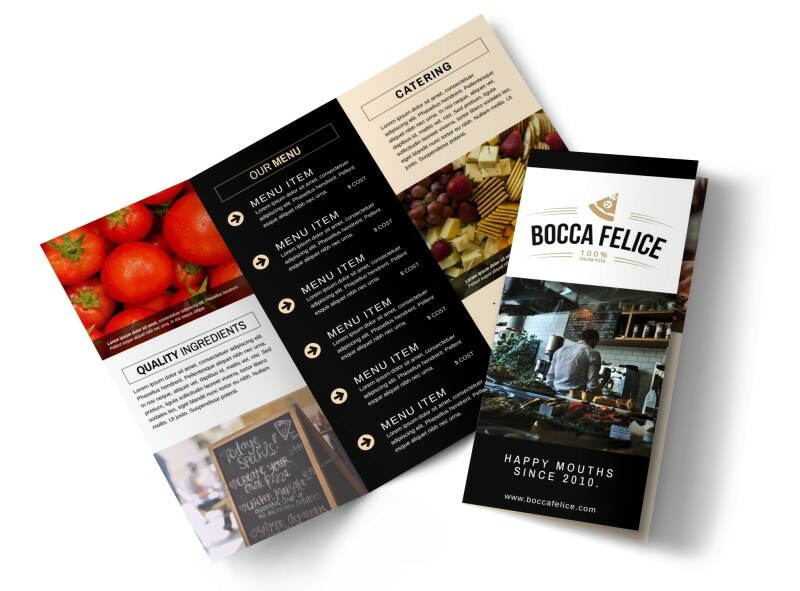 Tempt their taste buds with details about your menu and more using this trifold brochure you create yourself. Highlight menu items with mouth-watering images and descriptions that you customize with your preferred color theme and other design elements. With just a few mouse clicks, your design comes to life before your eyes. Start now.